Knowing what you’re good at and what you have a problem with can be hard. This post is about the relationship between the things we do well (and not so well) and what we think and know about them. It’s about how self awareness and reflective practice can help you consolidate what you’re good at and get better at the other stuff. If we’re lucky in life our jobs give us awesome opportunities to work on incredible things, which stretch us and inform us. I’ve been really lucky. Every job I’ve had I’ve been busy and challenged, working out new skills and strategies as I go. I think a lot of people have followed a similar trajectory. When you begin your career and professional practice you’re regularly making it up as you go along. You quickly pass from a state of unconscious incompetence into being aware of just how incompetent you are. But you work hard to build your skills up through instruction and experimentation. And later, the way we operate as professionals evolves – we move from practice to principle. This is good – we’re not incompetent, we stop wandering about the place looking for tartan paint and air bubbles for sprit levels. But I think at these points we’re in danger. The danger is that once you pass into the realms of confidence and competence, you switch mode. Things become unconscious again, and this can either be good or bad. This model describes how you can pass from Unconscious incompetence, through conscious incompetence, into competence and possibly through to the unconscious competence of a highly skilled practitioner. I know of it from Noel Burch. Entering automatic pilot mode has strengths and weaknesses – depending on the context. There’s a level of competence where we’re able to perform complex actions without consciously thinking about it. This is valuable in some fields. When Mihály Csíkszentmihályi talks about the psychology of the optimal experience, his state of flow requires some detachment from the application of skill in order for us to enter a flow state. Doing skilful things unconsciously has its benefits. But it limits our development opportunities. The work of Chris Argyris (1923-2013) describes the concept of double-loop learning (DLL) in which ‘an individual, organisation or entity is able, having attempted to achieve a goal on different occasions, to modify the goal in the light of experience or possibly even reject the goal. Single-loop learning (SLL) is the repeated attempt at the same problem, with no variation of method and without ever questioning the goal’. I think in most professional practice we need to be capable of double-loop learning – we need to be aware of our framing of the problem just as much as the effectiveness of our designed solutions. I think this is especially true in design, when no matter how good the solution, it’s hard to say with certainty when a design is as good as it can possibly be. Single-loop learning, unreflective practice, even unconscious competence will only get you so far. A pretty good example is comparing a Nest thermostat with a standard one. If you set your old thermostat it will come on and turn off when you’ve told it to. But it will not learn. A thermostat that knows when you’re away from home and don’t need heat is more efficient. It’s solving the right problem, because the problem has been framed correctly for it. A thermostat is one solution to the problem of controlling when a boiler comes on. But if you imagine that problem in it’s next largest context, the bigger problem is controlling when your heating should come on – learning thermostats reframe the problem and introduce a double-loop to be even more efficient. 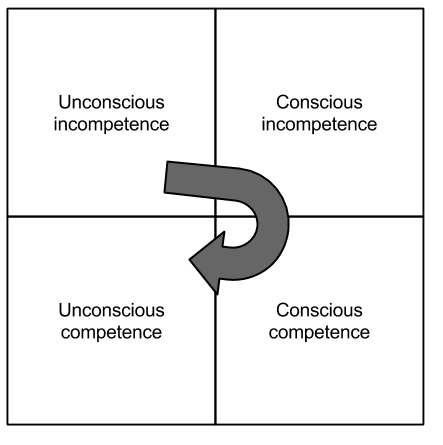 Problems occur in professional practice when we extend the behaviours of unconscious competence to areas of performance where this mindset isn’t appropriate – when we slip into a single loop. The danger is that because we’re applying technique unconsciously, it might not now be the best technique to use or it might not even be appropriate any more. The trouble with being unconscious is that you’re not aware of whether you’re acting competently or not. Reflective practice helps us in a number of ways. It enables us to explain and understand the processes we go through as we perform. It forces us to consider our actions consciously. So it has benefits throughout professional life. It helps in interviews. It helps in when teaching and training others. It helps every day. If we’re only able to unconsciously apply principle as practice we might miss some opportunities to solve the bigger problems. 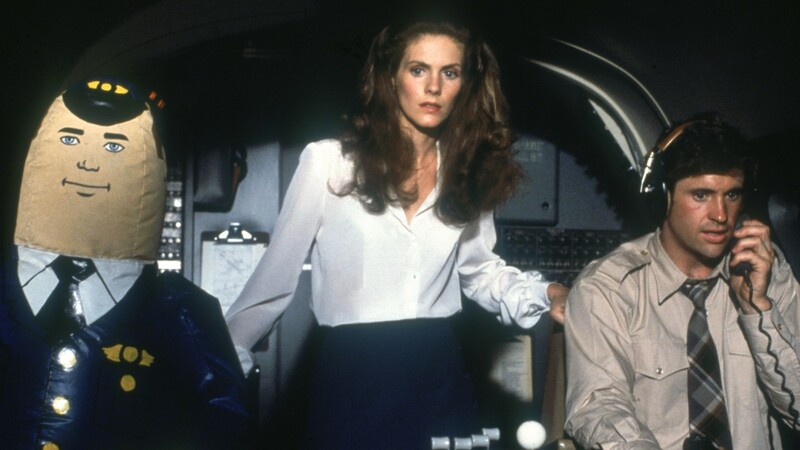 In The Reflective Practitioner Donald A. Schon describes how in professional life we can often find ourselves on a high, hard ground where we can enter that automatic-pilot mode and apply research-based theory and technique effectively. But the problems on this high, hard ground, no matter how interesting they are from a technical perspective, are rarely the problems that pose the greatest opportunity. The real opportunities tend to lie in a swampy lowland. They’re big, messy, confusing problems, incapable of a purely technical solutions. But they’re the ones that hold the most value. If we want to get better at what we do, and stand a chance to coping in the swamp, we need to be able to adopt a more conscious, experimental and reflective mindset. Problems are problematic. We can only hope to overcome them when we understand what they are asking of us. Before I start any significant bit of work I try to understand the “what”, and the “why” before I even start to think about the “how” of the solution. I think this is a mark of a good information architecture – communication and understanding precede action. The problem is, that although problem setting is a necessary condition for problem solving, problems evolve. Situations change. 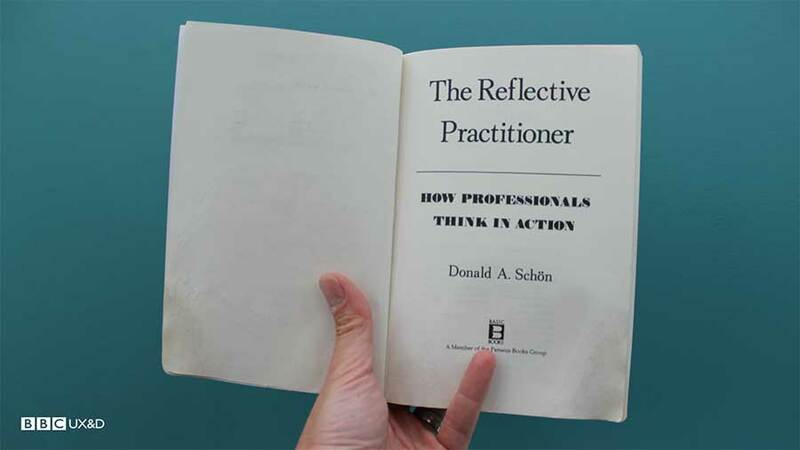 As Schon describes in The Reflective Practitioner, not all problems stand still long enough for you to solve them. In fact, in reality we’re rarely presented with problems. It’s even rarer that we’re presented with problems, challenges or opportunities that are not interconnected to one another. We deal with dynamic situations that evolve. And these situations consist of complex systems or changing problems that interact with each other. IAs are often faced with messes, rather than problems. It is our job to transform messes into something more meaningful. As Richard Ackoff describes: “Problems are abstractions extracted from messes by analysis.” Reflective information architects are the ones who should be taking hold of the messes and marshalling them into something with meaning. The most effective practitioners can spot the constraints and meaning that should remain fixed in a problem definition. If during problem definition we can identify the core of the problem, the unchanging centre, then we can use this information to compare it to our professional experience. We can diagnose situations by comparing the current problem to those we have solved in the past. And we can successfully apply techniques that worked in the past with confidence. But we can only do this if we’re confident in the definition of the problem. 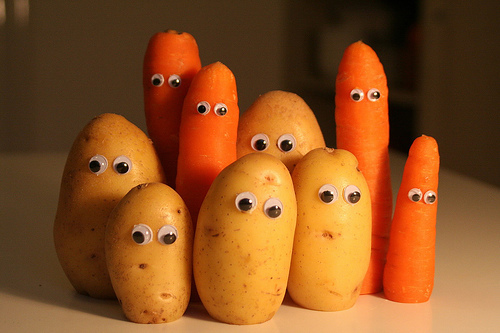 It’s getting quite wordy – here’s a picture of carrots and potatoes with faces to lighten the load. The practitioner can build up a repertoire of examples, images, understandings and actions. We build up a bank of experience so that even when we perceive a situation as being unique we search our repertoire and match it as closely as possible to its closest antecedent. We see this one in that one. We can use the previous experience as a precedent or metaphor to the current situation – in Thomas Khun’s phrase – an exemplar for the unfamiliar one. So how can we go about transforming messes into problems? The skilled practitioner is able to use the exemplars which we hold in our repertoire as simulations which we can inhabit imaginatively. We can only do this through reflection. We need to be aware, as we apply our skills and learnt techniques, what it is about them that unlock solutions. We need to pay attention to the repertoire as we build it. Experience can unlock solutions in the future. And even though many situations are unique, our imagination means that we can apply what we have learnt and what we are good at in other fields to each new challenge we face. Imagination and metaphor are central tools to the reflective practitioner. They enable us to carry over the things that we know from one solution into another situation and measure their effectiveness before we need to take action. We can construct virtual worlds in which the pace of action can be slowed down and iterations and variations of action can be tried. We can break out of flow or any state of unconscious activity to re-enter the state of conscious competence to reflect in action and improve performance. The practitioner makes his hypothesis come true. Good designers and information architects identify the mess they want to clear up, or the fog they want to see clearly through. They spend time to understand. They define the problem or opportunity, often with reference to their past experience and the ideas and metaphors that relate to the core of the problem. And during the application of technique they continue to reflect, measuring their expectations against the reality. They reflect in action. At the same time that the inquirer tries to shape the situation to his frame, he must hold himself open to the situation’s back-talk. He must be willing to enter into new confusions and uncertainties. Hence, he must adopt a kind of double vision. He must act in accordance with the view he has adopted, but he must recognise that he can always break it open later, indeed, must break it open later in order to make new sense of his transaction with the situation. This becomes more difficult to do as the process continues. His choices become more committing; his moves, more nearly irreversible. As the risk of uncertainty increases, so does the temptation to treat the view as the reality. Nevertheless, if the inquirer maintains his double vision, even while deepening his commitment to a chosen frame, he increases his chances of arriving at a deeper and broader coherence. Reflective practice makes you better at what you do. It also helps you to extend this competence to new problems and situations as they emerge. It takes you out of automatic pilot and pays conscious attention to the effectiveness of the solution as you design it.